Handling the chili pepper can be tricky business. I rarely ever have fresh chili peppers in the house but since we know several people with gardens a small emerald bounty of fiery peppers has made its way to my kitchen. I don’t ever turn away any home-grown fruit or vegetable, and since Anthony loves them, I’ve learned a thrifty trick for handling them without harming myself or others with their oils on my fingertips. 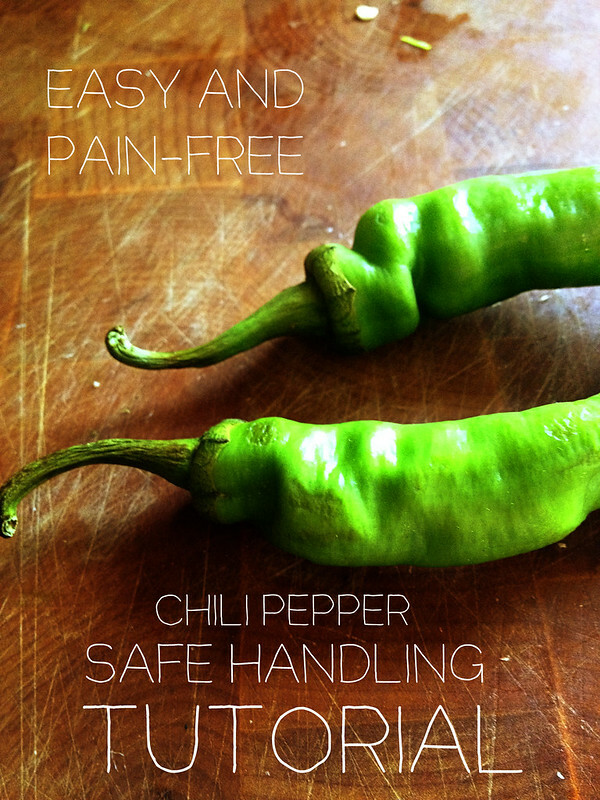 Rub chili oil into you nose or eyes once and you will never neglect to take precautions again. The standard treatment for working with chili peppers is the put on a pair of gloves that you have set aside from the occasion. I do try to keep some on hand, but sometimes I run out and I’m glad I did because that’s how I discovered this trick. 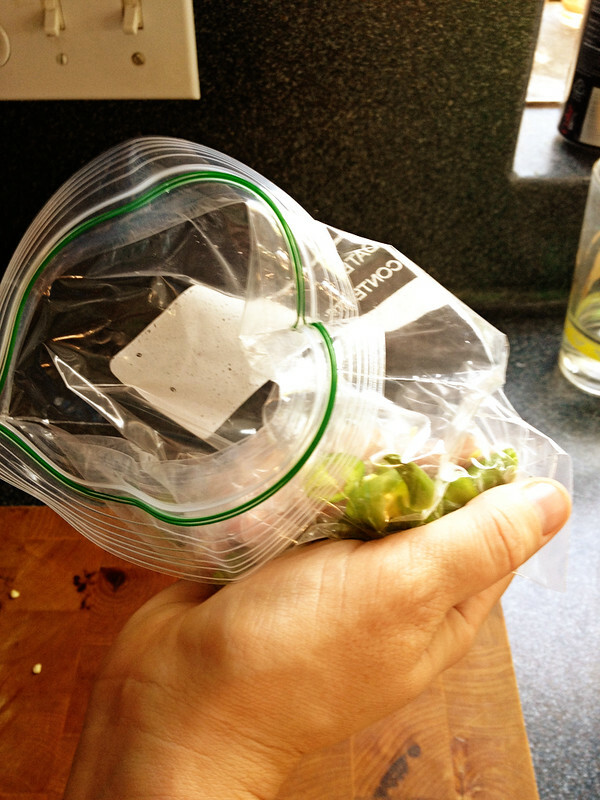 STEP 1: Turn a zippy bag inside out and place your hand inside of it like it’s an ill-fitting glove. 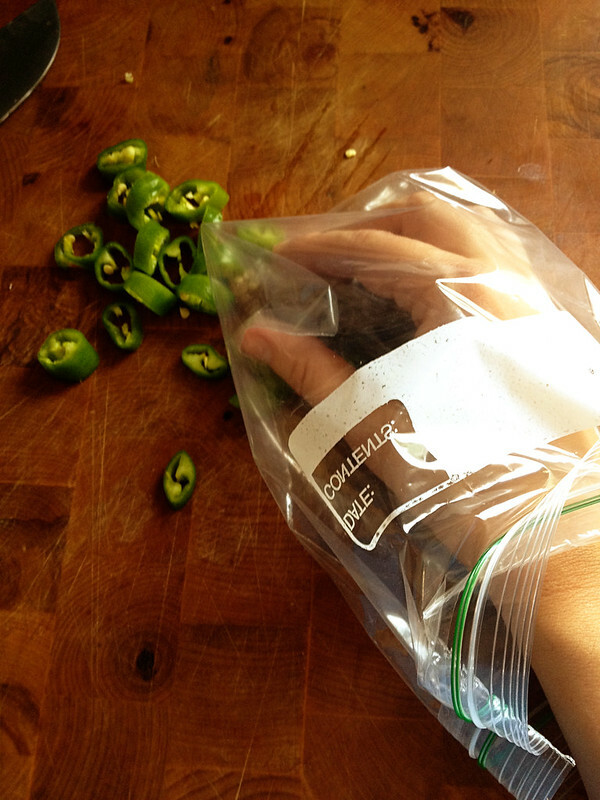 As you slice the pepper make sure you only contact the pepper with your plastic bag hand. I happen to be left handed so my right hand is doing the dirty work. Your mileage may vary. 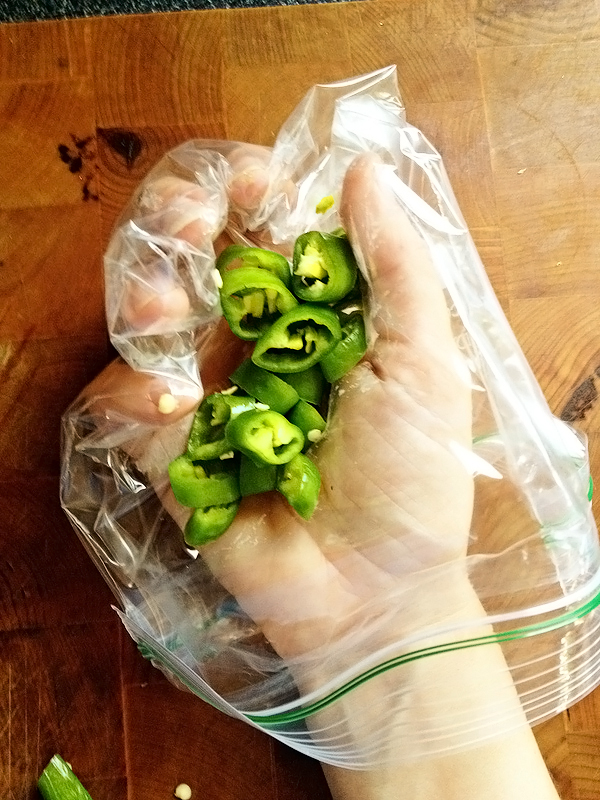 STEP 2: After your pepper is sliced, chopped or otherwise prepared, gather the pieces up with your zippy bag-gloved hand, and use your other hand to pull the bag right side out with the peppers inside. STEP 3: Finish turning your bag right-side-out and seal or use as you need to. 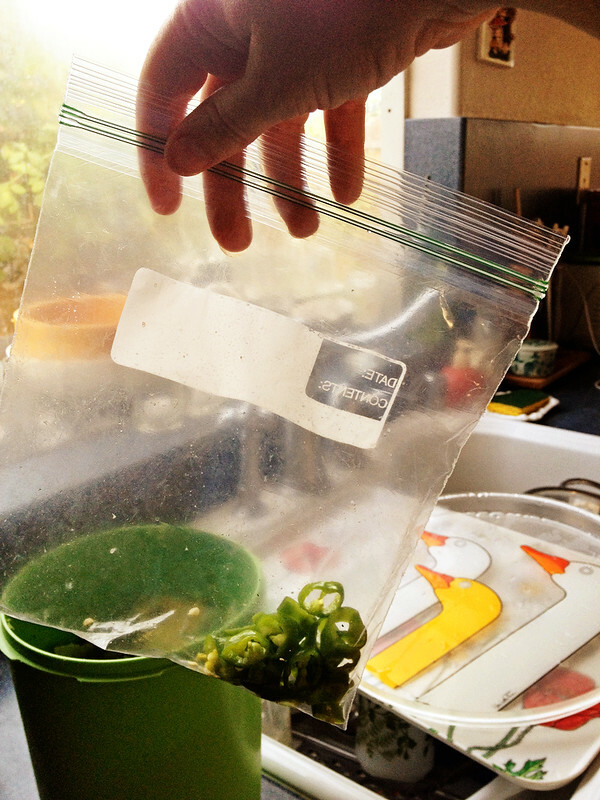 By turning the bag inside out you can use it as a glove and a storage receptacle and all the harmful oils stay on one side of the plastic. Be sure to wash your knife and cutting board thoroughly and you are free to enjoy your peppers on salads, nachos, chili dogs or whatever lacks spice in your life.